Do you have an Instant Pot yet? It was apparently the hottest gift for the 2017 holiday season, so if you’re like me, someone who loves you bought you one of these babies. It’s really an amazing machine. It’s a pressure cooker – but not one of those old and clunky ones that your grandmother used to have that made horrible noises and looked like it might explode at any moment. This is a computerized cooking machine that is smart enough to remember your past settings and cook everything from hardboiled eggs to cheesecake to BBQ ribs. After using this machine for a few weeks, I was able to happily donate my old slow cooker (because the IP has a slow cooker setting that doesn’t involve pressurization), my rice cooker (it makes all rice, quinoa, oatmeal, and any other type of grains in half the time of the best rice cooker on the market), and my yogurt maker. Speaking of yogurt, you can literally make a ton of it at the touch of a button. I recommend setting it up before you go to bed at night, and you’ll wake up to yogurt! a 5 oz. can of sweetened condensed milk. Put it on the “Yogurt” setting for 10 hours (or more) and then refrigerate. 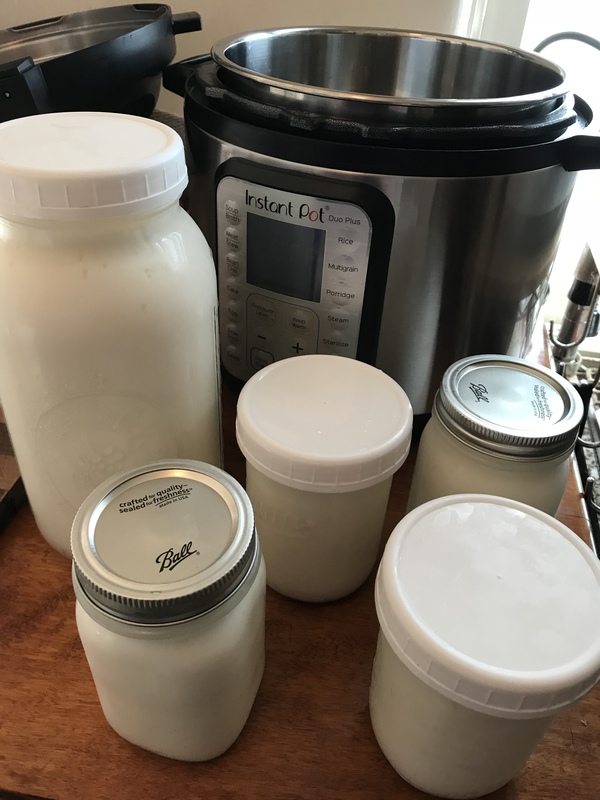 Six quarts of homemade Greek yogurt. That yields 6 quarts of yogurt. 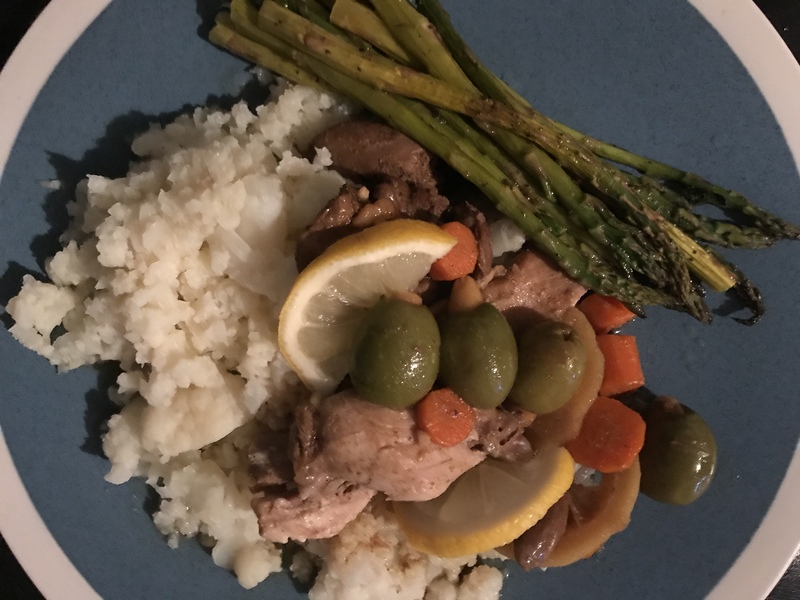 My first experiment with this machine was for a tagine recipe … one of my favorite Moroccan dishes with chicken, chicken livers, green olives, preserved lemons, and other veggies. Instead of slow cooking this for 8-9 hours, or on the stovetop in a fancy tagine clay pot, I simply placed all the ingredients in the Instant Pot and pressure-cooked it for 25 minutes. I have to admit, I was still a little nervous. Would that be enough time to cook chicken? And to make sure all of the flavors were properly cooked in to the meat? To my pleased surprise, it turned out beautifully. If you are trying to adapt your favorite recipes to the Instant Pot, check out this link. 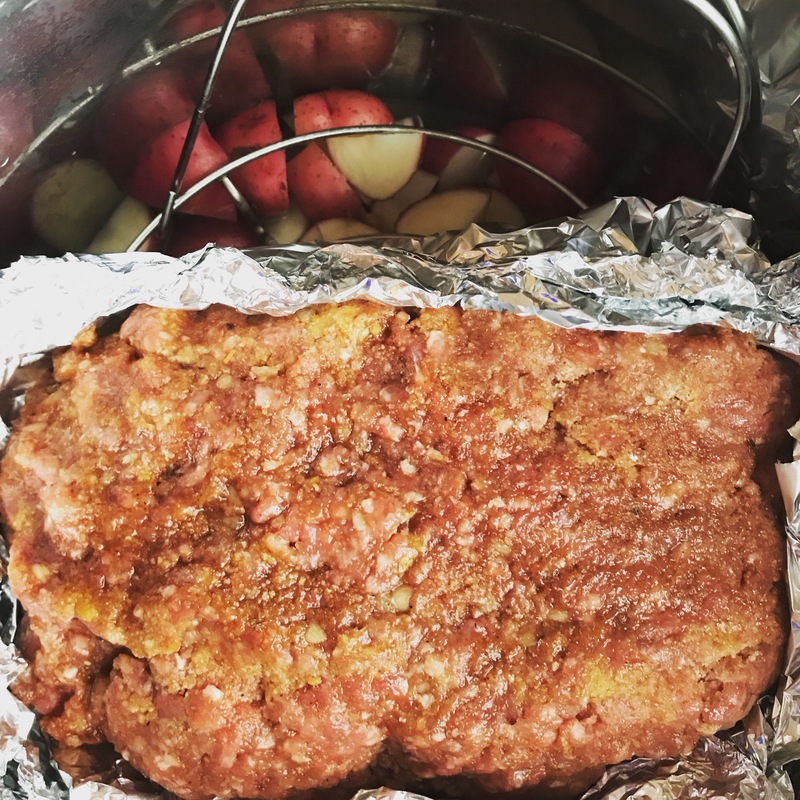 I think the most important thing when adapting is to check the pressure release – a “quick release” of the pressure will let the steam escape right away and are for recipes that are not generally slow-cooked (see, for example, the meatloaf and mashed potatoes recipe, below). For a recipe like this chicken where you want the flavors to be infused into every bite, you will want to do a “natural release” method after the cooking time is over. It takes a few extra minutes, but it’s worth it. And it’s still ready to eat in a fraction of the time. 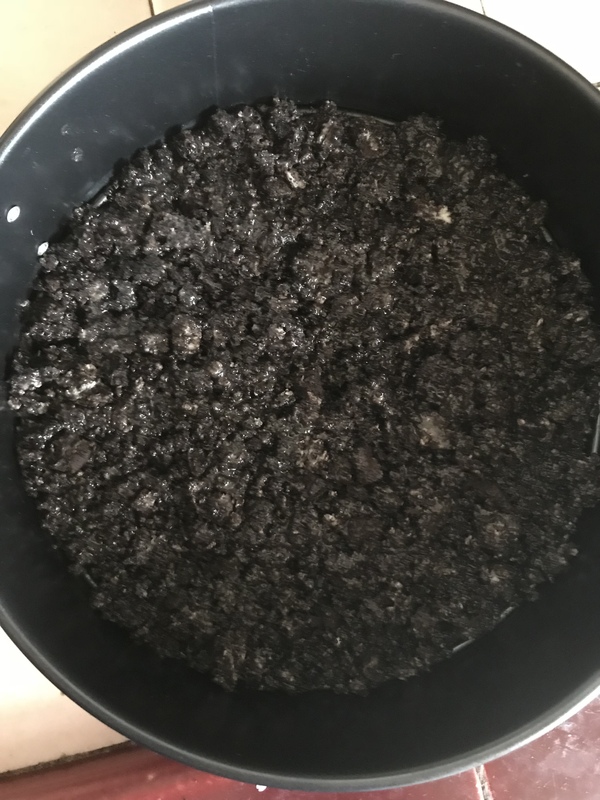 One of the first rookie mistakes of the Instant Pot is to neglect the sealing ring. The IP comes with a clear ring that fits on the inside of the pressurized lid. At the very least, you need to make sure the sealing ring is cleaned after every use, or the flavors from whatever you cook will stick to the ring and get into everything you cook later. If you intend to use your Instant Pot for savory dishes (chicken, ribs, eggs) as well as sweet dishes (cheesecakes and desserts), then the first thing you need to do is buy at least one extra sealing ring. I got a pair of them on Amazon. 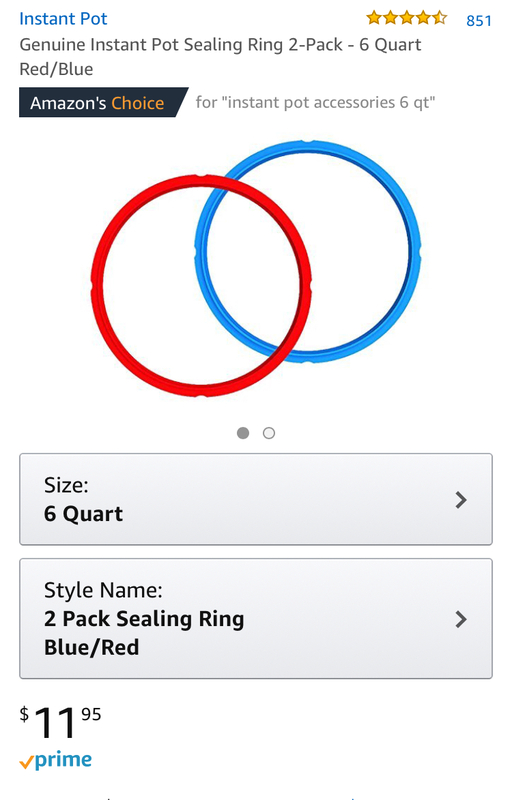 Now I only use the red sealing ring for desserts and sweet dishes. I also purchased a springform pan that fits inside a 6-quart Instant Pot, and I can use this for cheesecakes and other desserts as well as lasagna. 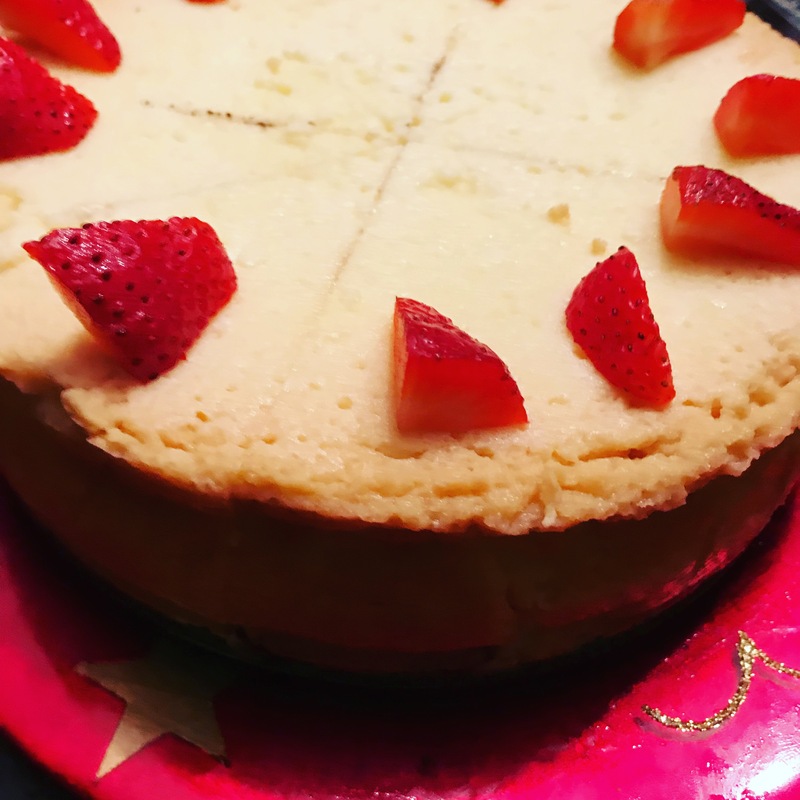 I made a couple of different types of cheesecake to see how well it worked. 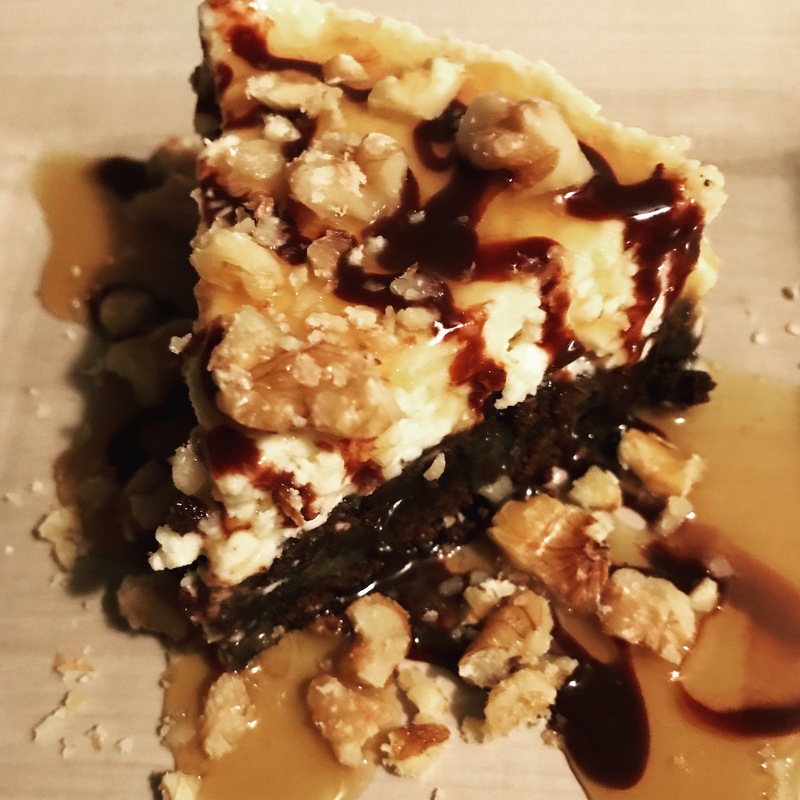 Basically, you can make the crust however you like (crushed cookies with melted butter, or even a brownie that is only partially baked in the oven). The most important thing to remember is that the cream cheese and eggs MUST be at room temperature. If not, they will not blend properly and will result in a lumpy cheesecake. Make sure all ingredients are blended and smooth, then pour into your springform pan. Cook on the (high) pressure setting for 45 minutes, and use the natural release method (which will take about another 10-15 minutes). Let it cool and garnish with your favorite toppings. This is one of my favorite recipes because it’s so easily adaptable. Try it with lots of different crusts and/or toppings! 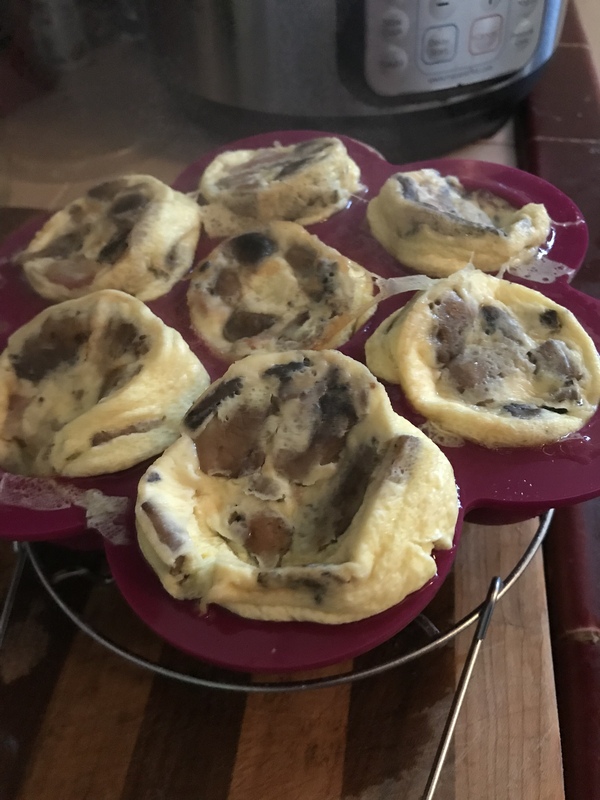 I have tried similar recipes in the oven before, and I even made some in the oven while I was making some in the Instant Pot, just so I could see the difference in flavor and texture. The pressure cooking makes the filling much softer and lighter! 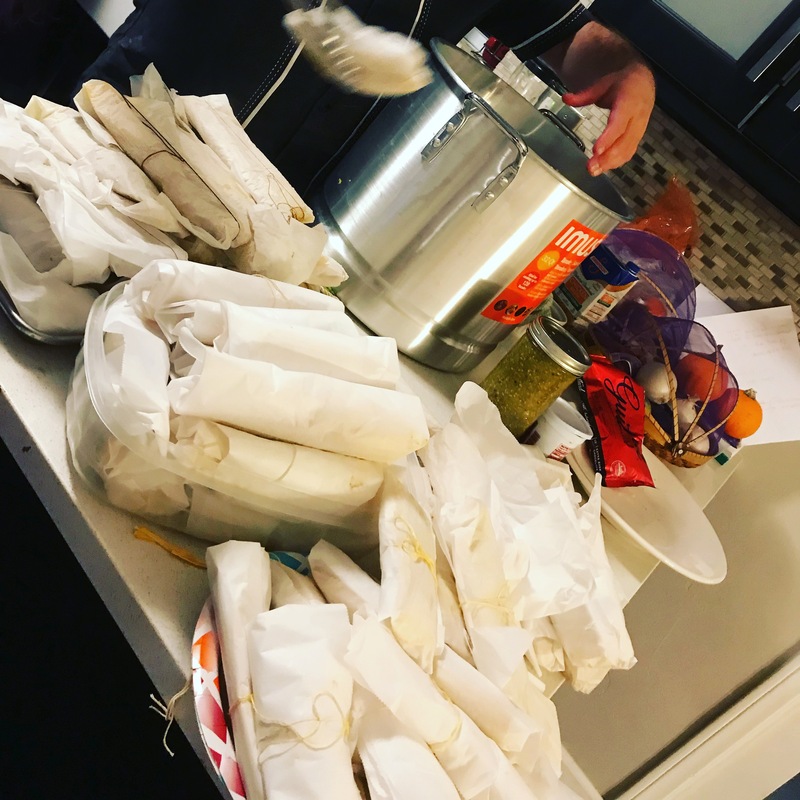 During my first couple of weeks with the Instant Pot, I organized a few friends for a tamale party. If you’ve never been to one, it’s basically a fun way to make a party out of something that can be pretty boring and tedious – making tamales. Tamales are a popular dish around the holiday season, especially in the southwestern United States and Mexico. They are delicious concoctions of many types of fillings and masa (corn) dough stuffed into corn husks and steamed. They are also a giant pain to make. Hence, a party. 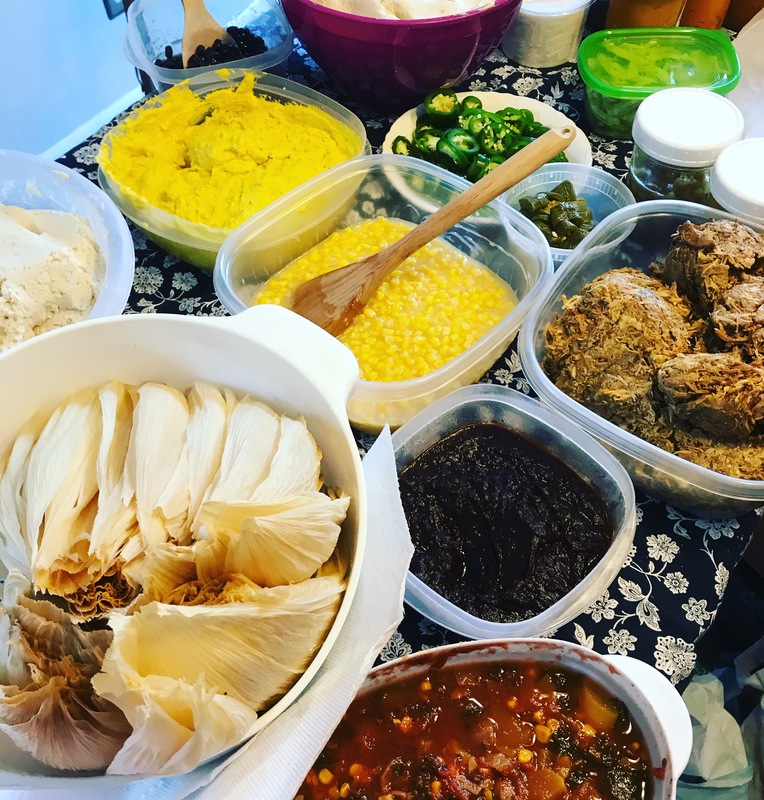 Instead of spending hours doing all the work yourself, you get a few friends, everyone brings fillings and masa dough and corn husks (as well as a few bottles of wine and snacks to sustain you for a long afternoon), and everyone makes a bunch of tamales. It’s a little bit of work, but everyone goes home with tons of tamales to eat (or freeze for later). As you can imagine, the Instant Pot made a ton of work a little easier. 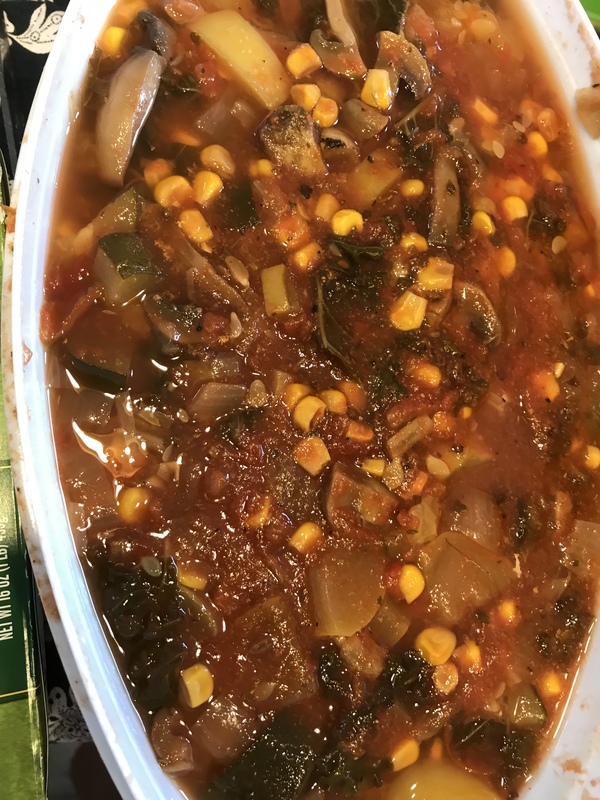 The night before the party, I used my Instant Pot to make a vegetarian filling … literally a variety of vegetables and spices simmered for a few hours. Except that it literally took less than 20 minutes on the pressure setting. It took me longer to chop all of the veggies than it did for me to make a huge amount of delicious vegetarian filling. I also made a chicken verde filling – literally a few boneless chicken thighs and a big can of salsa verde – that was ready in half an hour. And, of course, tamales need to be cooked, too; and that usually takes 1 1/2 to 2 hours in standard steamer pot. But I actually brought my Instant Pot with me to the party (did I mention it’s very portable and has a handy handle on top?) and was able to steam a few batches right on the spot. Because the Instant Pot can make short work out of many dishes that would otherwise take hours and hours, it’s perfect for weeknight meals and holiday dinners. For Christmas dinner I used it to make Brussels sprouts (in 3 minutes! 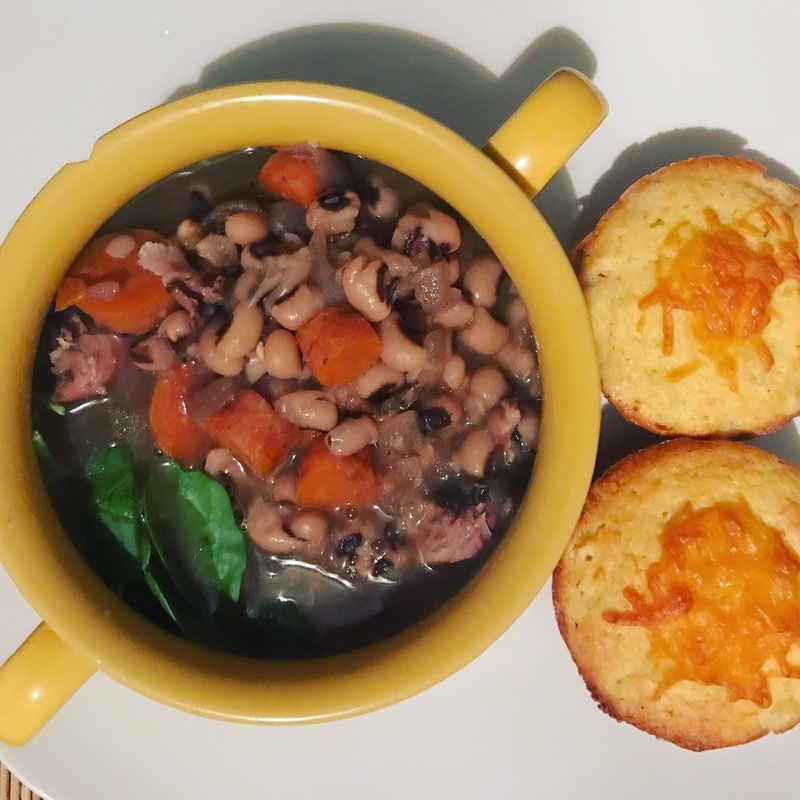 ); and for New Year’s, I made black-eyed peas and greens, a delicious Southern New Year’s Day tradition to bring good luck in the new year. Usually it simmers in my slow cooker for 24 hours. This year, I made it in 35 minutes – from dried beans! Black-eyed peas and greens for New Year’s Day. 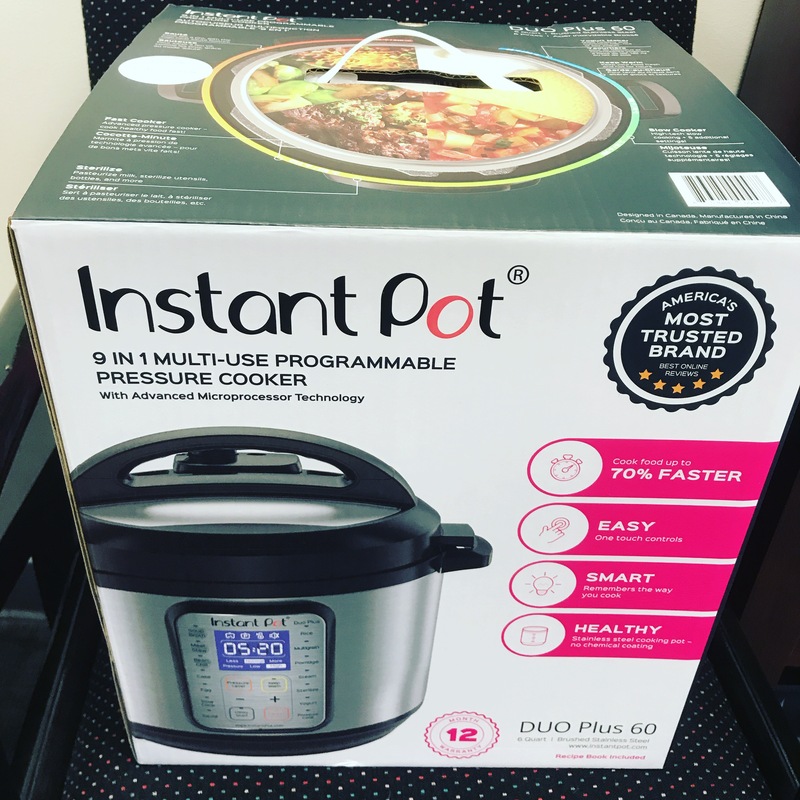 Which brings me to another awesome feature of the Instant Pot – it’s multi-functionality! Although most recipes use the “pressure” setting, there is also an equally awesome “sauté” setting. For example, before, when I made black-eyed peas in my crock pot, I would brown the onions and garlic and whatnot before adding them to the slow cooker. With the Instant Pot, you can sauté the veggies, then add the rest of your ingredients and switch the setting to pressure to complete the dish! It saves tons of time in washing multiple pots and pans, not to mention that you are cooking the food in a fraction of the time. 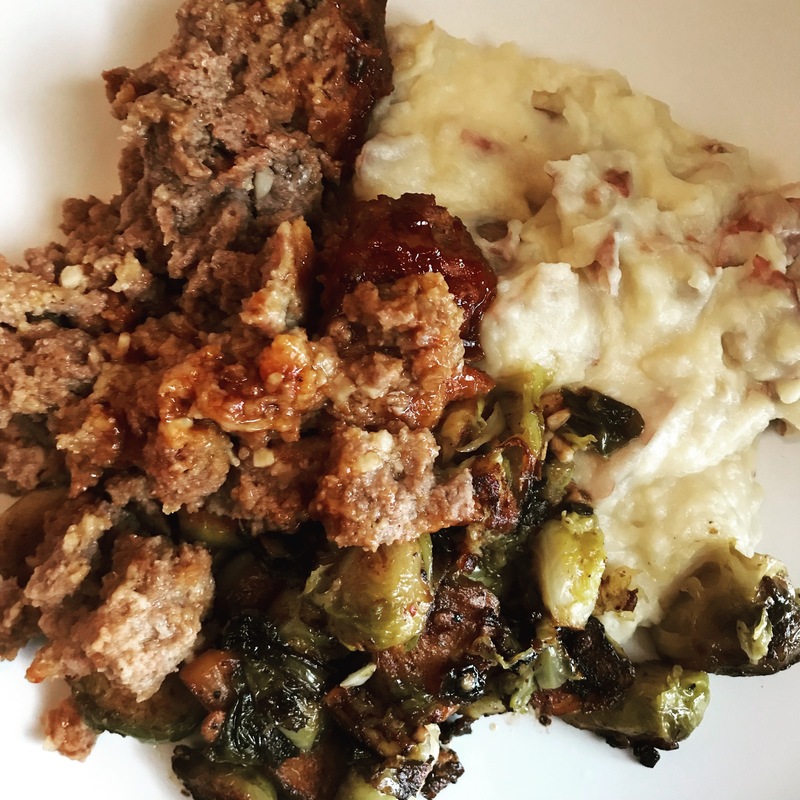 The meatloaf and mashed potatoes recipe from I Wash, You Dry is definitely going to be a weeknight supper regular for me. It’s so easy! Meatloaf and mashed potatoes AT THE SAME TIME! You place the potatoes and chicken broth at the bottom, then put the wire rack over the potatoes and place the foil-wrapped meatloaf on top. You can even cook a vegetable side dish in there, too. With only 25 minutes on pressure, and quick release, you can have a delicious dinner on the table in no time. I usually eat breakfast on the go, and it’s hard to do that and stay healthy sometimes. Luckily, the Instant Pot is also great for meal prep. This is another cool Instant Pot accessory … a silicone mold. The Amazon listing says it’s for baby food and egg bites, among other things, but I use it mostly for eggs. The most important thing to remember here is to not fill the cups all the way. I made that mistake my first time, and the egg mixture expanded and almost popped out of the container! Ah well. They still tasted good! 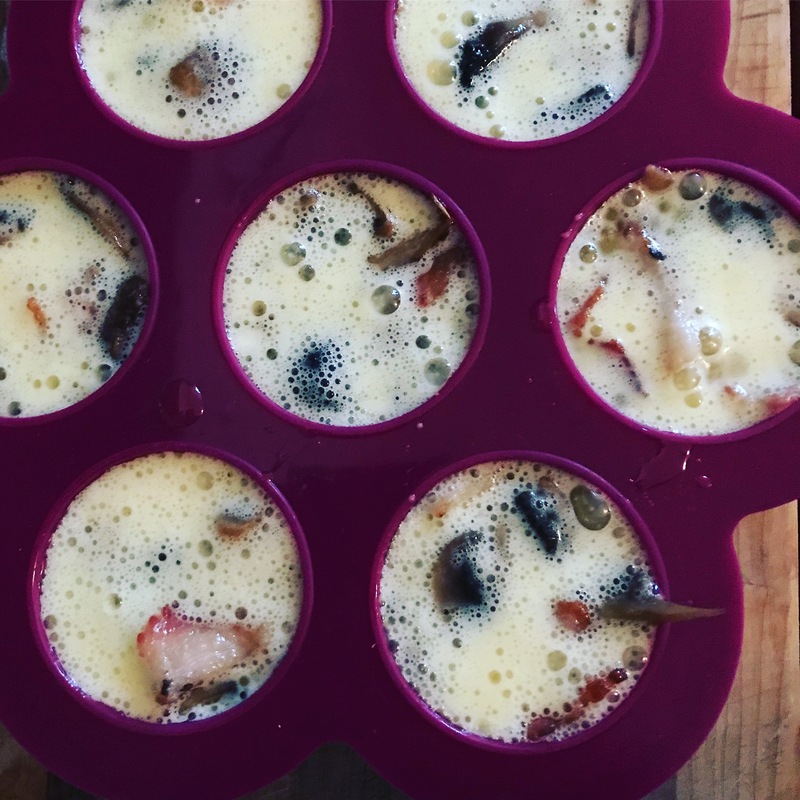 This is a really great way to prepare an easy and healthy breakfast. You can customize the flavorings (and control the salt and fat, etc. ), and make a whole pan of these in less than half an hour – 8 minutes of pressure cooking (which means it will take a moment to get to the appropriate pressure) and then 10 minutes to let the steam naturally release. The result is a pan of delicious and super-fluffy egg bites you can eat all week long. In addition to some fun and useful Instant Pot accessories, I treated myself to a new cookbook, too! 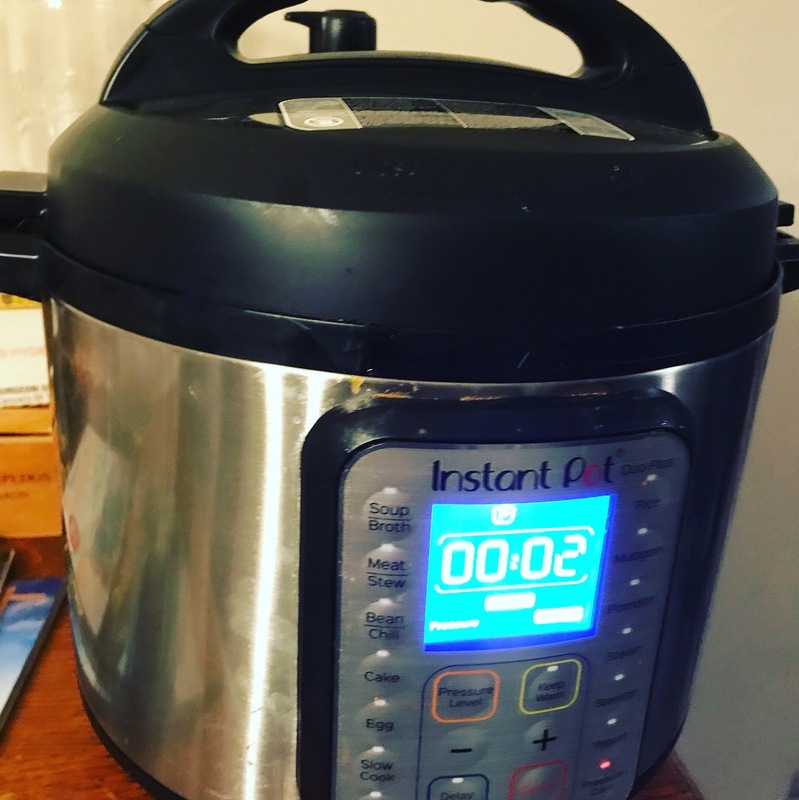 I really adore Indian food, and I can’t wait to experience how much easier it is to make at home with the Instant Pot! Coming up soon on Starbright’s Kitchen! 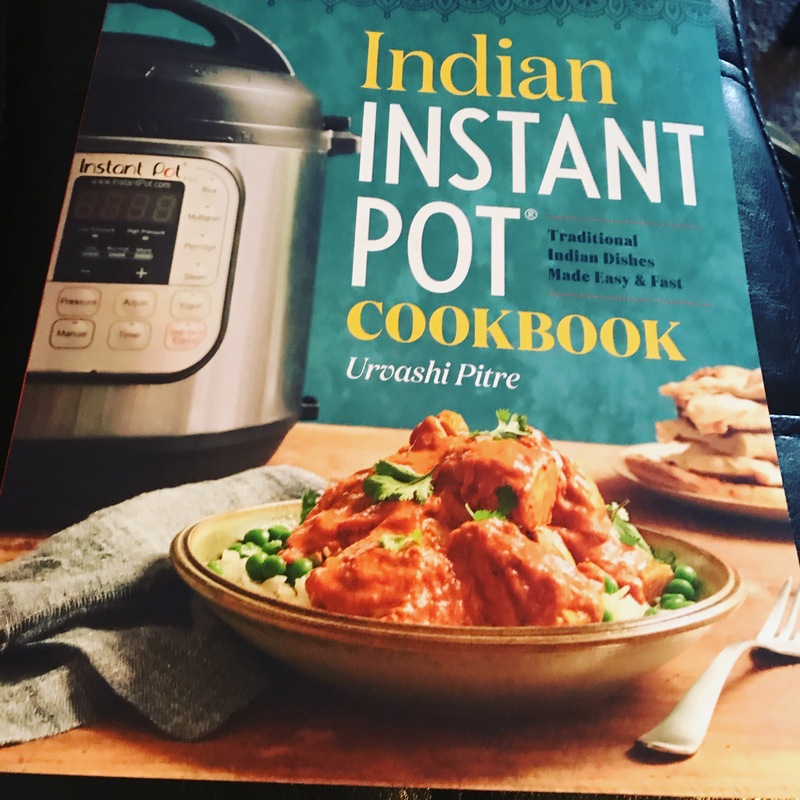 Please stay tuned to Starbrightskitchen.com to see the creations from Urvashi Pitre’s Indian Instant Pot Cookbook!